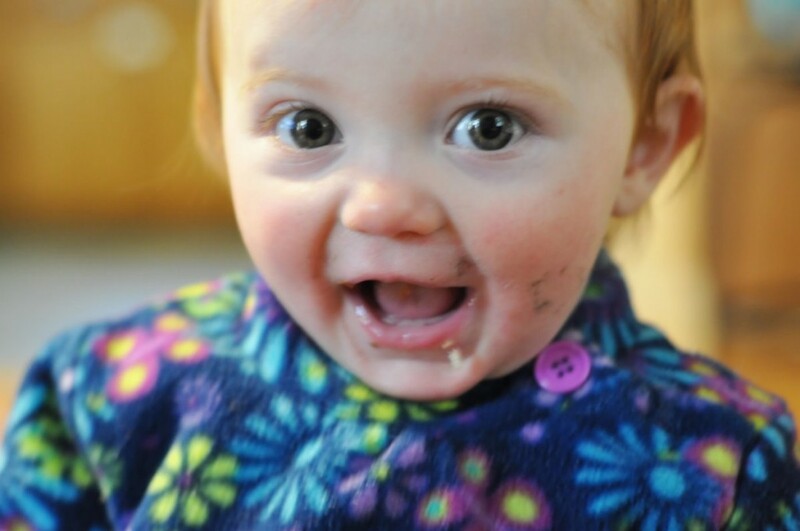 Dirty face, blurry, and HAPPY. I should probably get Spence a stroller. He’s push his potatoheads. He loves the ones at school. She is adorable, as per usual. love the new header, lady! you’re so freaking gorgeous, just hanging out on the stairs. i like that pose, it’s much more believable than those pictures of people hanging off of a tree in a white dress, wind blowing their hair. 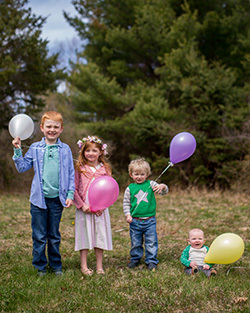 ’cause i don’t know about you, but with two kids, my white dress days are over (so are my tree swinging days, unless i’m swinging off of a branch trying to save henry from falling to his demise). 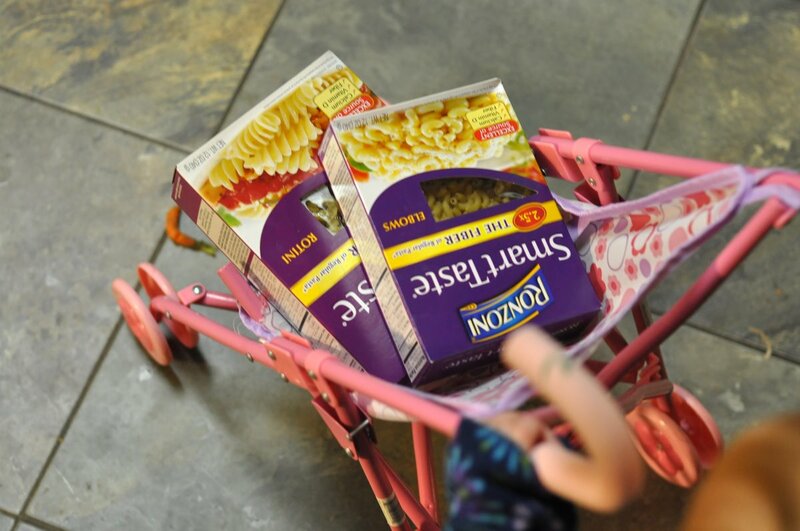 oh, one more thing: who doesn’t love pasta enough to give it a ride in a sweet stroller?? So cute – love the pasta pic! LOL! This is too stinkin’ cute! I totally need to get a stroller for my little lady! Too cute!! 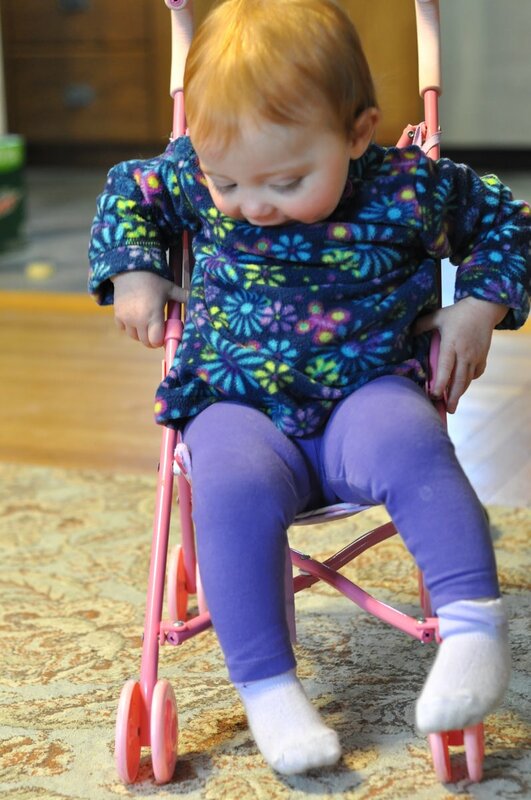 Teagan does the same thing with her stroller! I’m waiting on her to try and pick up Kyra and put her in it…hmm. I love the impression of my dad that Caroline is doing in the blog header. This is really good information to know. Disney Parks are the best! I can’t wait to go back to Disney World soon.